Description: Millions of pilgrims, irrespective of age or districts, are gathered from the different part of country on a particular day, just to take a holy dip on the Beach of Bay of Bengal Island. Mainly the people of socio-economically poor section from the countryside, strongly driven out by the belief of the existence of god and religious rituals, come across the hundreds of miles and try to wash out all the sins of life. They offer their gratitude to the god through the bath under extreme cold weather of winter season. 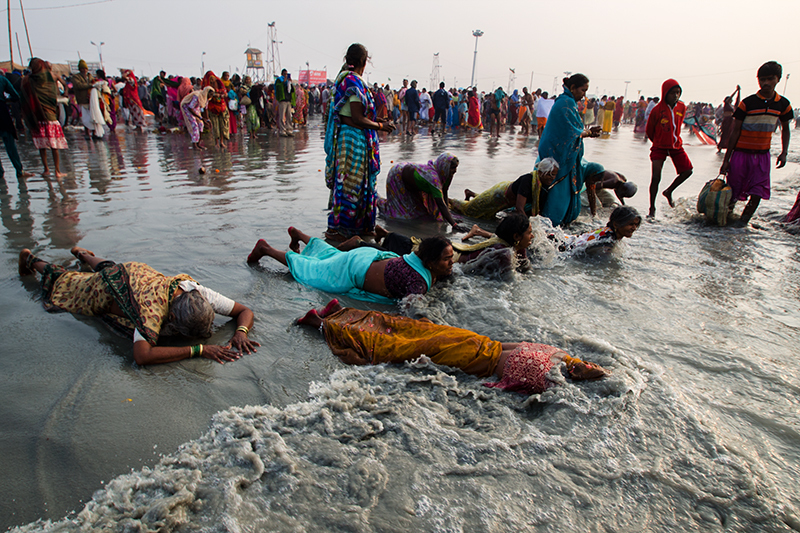 Caption: Lakhs of pilgrims, irrespective of age or distance, are gathered from the different part of country on a particular day, just to take a holy dip on the Beach of Bay of Bengal Island. Mainly the people of socio-economically poor section from the countryside, strongly driven out by the belief of the existence of god and religious rituals, come across the hundreds of miles and try to wash out all the sins of life. They offer their gratitude to the god through the bath under extreme cold weather of winter season.